The Philippines, through the Filipino community association Devotees of Sto. Niño de Cebu-Madrid participated in this year´s Carnaval de Madrid 2016 Parade which was held on 06 February 2016. The carnival parade is an annual event organized by the City Hall of Madrid. This year´s edition was spearheaded by the Municipal Council District of Tetuan, a multi-cultural community which hosts a great number of Filipinos. The Philippine Embassy led the representation of the Filipino community in the Municipal Council for its participation. The Filipino participants wearing bright costumes of yellow, red and white showcased dance steps commonly seen in Sinulog festivities in Cebu. 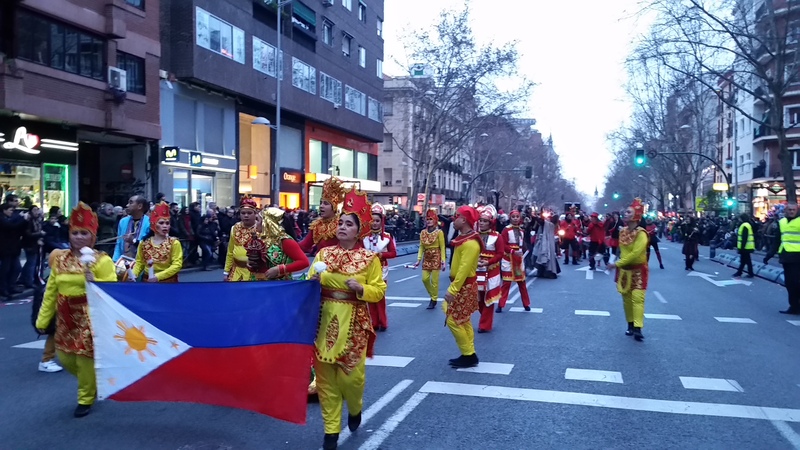 This was the first carnival parade in Madrid participated in by the said Filipino group.